Law Enforcement Attendees: Please note that if you have registered for the full conference - this lunch is included in your registration. Exhibitors receive 2 free lunch seats with your booth purchase. Any additional lunch seats can be bought through this registration. Please use this registration only if you need additional luncheon tickets besides the one that you received with full conference registration and the two additional free tickets that come with your conference registration being that you are a recognized agency at this luncheon. Also – if you did not register for the conference and are only interested in attending the recognition luncheon – click the 'Register' button above to purchase tickets. The Recognition Luncheon will be Wednesday, April 17, 2019, at noon, during the TPCA 2019 Annual Conference at the Galveston Island Convention Center. Recognized Agencies are invited to bring your Mayor, City Manager, members of Council, or any staff you wish. The chiefs have their luncheon already paid for with their Conference Registration as well as any other members of their staff who have already registered for this Conference. Agencies being Recognized or Re-Recognized are allowed two additional luncheon tickets at no charge. If you intend to bring more than two unregistered guests, you are requested to pay for their luncheon costs ($50.00 each). Dress for the luncheon for most guests is usually business casual, however those being Recognized or Re-Recognized will have their photos taken after receiving their certificate on stage. We would encourage you to wear either business attire or police uniforms. 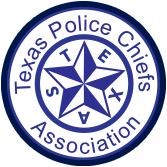 For further information, please call Chief Max Westbrook or e-mail rpdirector@texaspolicechiefs.org.